Is A Recolored Comic Still The Same Comic? This week, Marvel posted a few preview pages from its newly "remastered" first issue of Miracleman. Before the images were even officially released Wednesday, fans had gotten a hold of the new images and posted comparisons to the original black-and-white versions from the magazine Warrior, Eclipse Comics' original issues, and recolored versions from the original Eclipse collected edition. 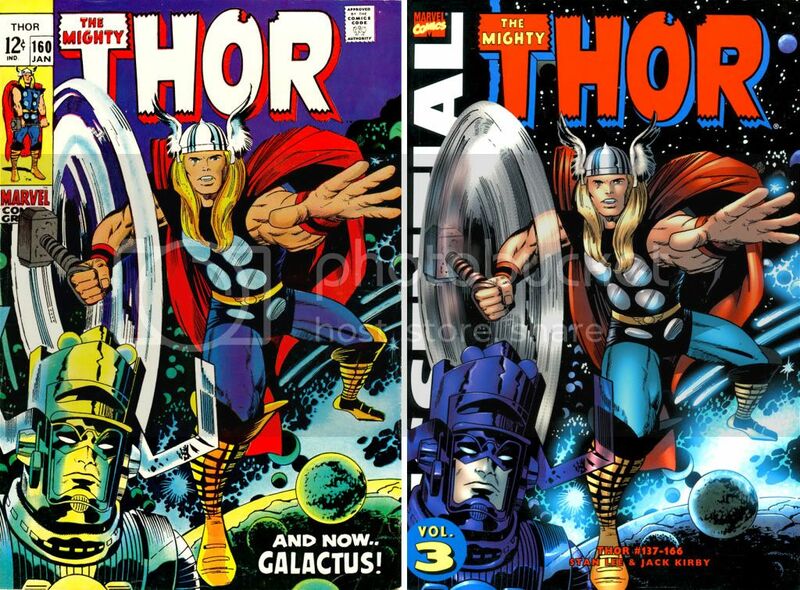 It seems like any time the major publishers issue a high-profile reprint of a comic that's more than 25 years old, they consider it a necessity to recolor them. Maybe it is. Maybe old-fashioned colors are a turn-off to readers who are used to modern techniques. But I do wonder how much changing the colors changes the actual comic. When these stories were originally colored, the artists were never consulted – and it shows. The coloring methods used at the time really hurt the finished product. But through close collaboration with all the artists, we’re proud to now present these stories in a manner that matches their creative vision. Those debates aren't really what I'm trying to get at here. I once had a friend tell me that more complex modern coloring techniques were what actually made current comics readable to him. I'm not going to fault him for that, even though I tend to think some recolorings are too "literal." That is, they're committed to making things the colors they would really be rather than something more abstract that sets a mood, something old comics coloring had in spades, possibly to make up for limited options. The difference is that recolored comics aren't just remastered. When all of The Beatles' albums were re-released in conjunction with all their music becoming available on iTunes, it was all simply cleaned up for digital listeners. It's not like someone went in and replaced all of Ringo's drumming with other tracks of Ringo drumming, or someone else drumming in his place. And that's the thing. A colorist is a member of the band, right? If a band re-records one of their previous albums with a new bassist, that's not the same album, is it? That doesn't mean it's worse -- it might be worlds better -- but it's not the same experience.